History: The diner was built in the early 1940s, most likely. After being at this location, the diner was moved to the town of Stillwater where it became Carol's Diner and later Wolff's Diner. Mrs. Anna C. Bent 1962 to 1963 History: Can you verify that this building wa a diner, and not a storefront or stick built diner? History: The diner was always called Edie's Diner. Please contribute to the history of this diner. Your voice helps keep this diner alive. History: This diner is believed to be a Bixler. 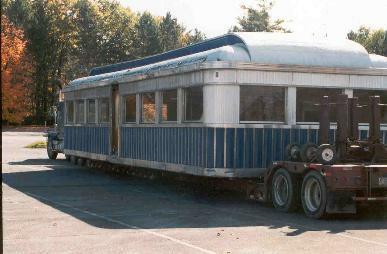 This would place the age of the Mohawk Diner back to the 1930s. 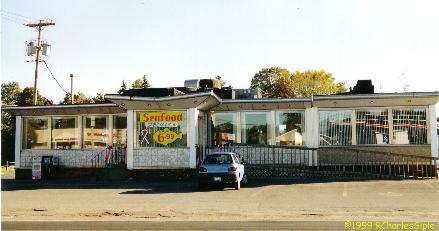 History: This was the former Voigt's Diner from Rensselaer. History: This diner is now in New Hampshire. History: This Silk City diner was featured in the 1980 book, Diners of the Northeast. In the book, the authors said that this diner was a Trucker's diner. History: A DBA was filed on Aug 1st and/or Aug 20, 1953. Diner had two devastating fires. Otto R. & Richard Koenitz -1956 to 1967+ History: Can you fill in the history of this diner? History: All the owner info is from DBA records in the Saratoga County Clerk's Office. A local historian gave me the name of "Bladon" for an owner of this diner. History: History is sketchy on this diner currently. Mr. LaFortune previously ran a diner also called Traveler's Diner in Scotia, NY, which was possibly a Bixler. 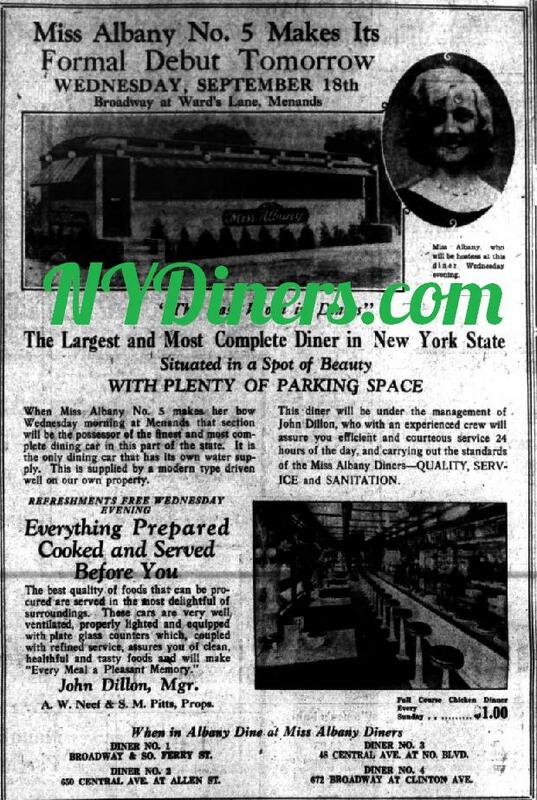 A July 1946 article mentions a robbery at this diner. A replacement building in 1948 looks nothing like a diner. Tops Diner History: The original diner was named for the sodium lights that lit the highway out to the diner. plus, we need to know where stop 24, 25(5 Acre Diner), 26 and 35(Helen's Diner near Shell Station) were.